Gearcase Housing 3 Cylinder, V6. Exact equivalent to Johnson/Evinrude 436745A. 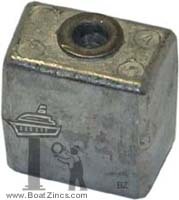 Note: Anode has an aluminum core insert that gets threaded from tightening the 3/8"-16 mounting screw. 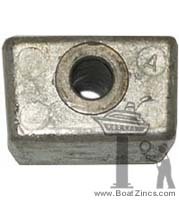 Make sure your boat anodes have proper physical and electrical connections. An anode with a poor electrical connection cannot provide corrosion protection. 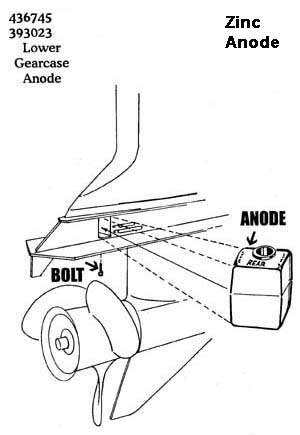 Clean the area where your anodes will be mounted by lightly sanding or wire brushing. Do not paint your anodes.